‘The World Inter-Cultural Forum has become a global platform’, President of Azerbaijan Ilham Aliyev stated at the official opening of the 4th World Forum on Intercultural Dialogue on the theme “Advancing Intercultural Dialogue: New Avenues for Human Security, Peace and Sustainable Development” in Baku. Noting that the number of the Inter-Cultural Forum’s participants grows year on year, the Azerbaijani President said inter-cultural dialogue is critical today in our globalized world and without it the entire world will face dangers. ‘Azerbaijan is proud of its high religious tolerance. Various national and religious communities, representatives of various nationalities historically lived and continue to live in our country in the conditions of cooperation as one family. 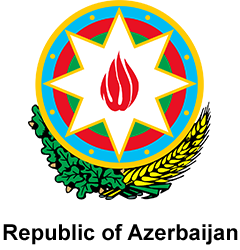 It is the culture of peaceful co-existence historically inherent in Azerbaijani people playing an important role in the national values’. ‘Multiculturalism is a state policy of Azerbaijan and it has become a way of life in the country. The people of Azerbaijan make significant contributions to the traditions of tolerance at worldwide level, to develop and popularize the traditions of multiculturalism’. President Ilham Aliyev stressed. Recalling that the Azerbaijani state has declared 2016 as the Year of Multiculturalism in Azerbaijan and the current year as a Year of Islamic Solidarity, the President underlined that this also serves understanding in region.